I’m not a milk drinker, so the idea of combining turmeric and milk was the furthest from my thoughts, but I was missing out. It’s very tasty, and something that I now enjoy each night before bed. 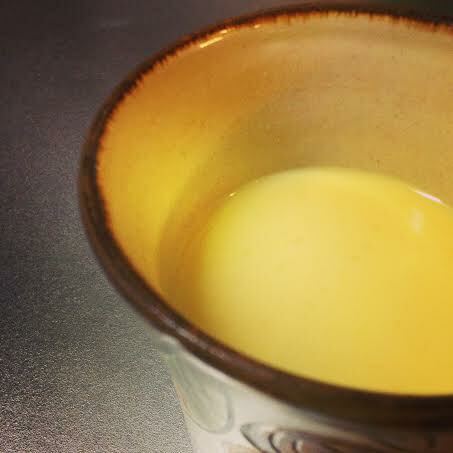 In ayurveda, this golden milk is helpful for calming vata and clearing mucus from kapha. Milk increases our ojas, or immunity, and we want all the ojas we can get! It keeps away coughs and sniffles during the winter months and between seasonal shifts. 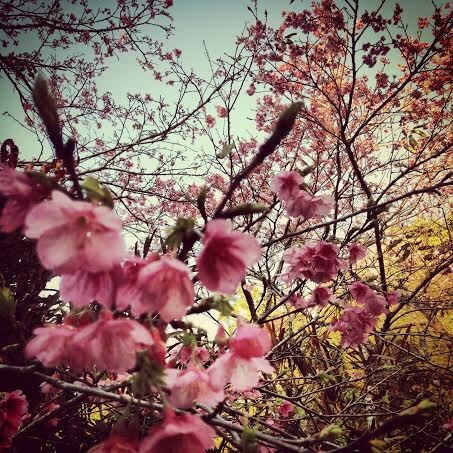 We enjoyed the cherry blossom festival last weekend on Okinawa, so spring has already sprung and it’s not even yet February (try telling that to the trapped motorists on snowy Atlanta roads last night or anyone who survived the 2014 “polar vortex”). Many people are aware that warm milk before bedtime can act as a sleep aid, and maybe you’ve also heard that nutmeg can help you to catch those zzz’s. 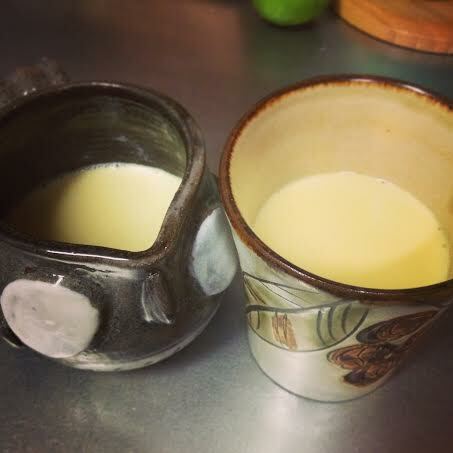 Warm milk is grounding and the spices in this milk are wonderful for digestion. They cut the heaviness of the milk for people with more kapha dosha. Honey is the best sweetener for kapha because it’s warming and helps dissolve congestion. It’s said that this drink can even help with pain, asthma, and allergies. I was concerned that drinking a cup of milk before bed would cause us to have some digestive upsets and lead to excessive ama (digestive toxins) in the morning. To our surprise, it accomplished the opposite. I also slept very well, and woke up happy. Both of us had some stomach gurgling at first, but we felt fine. The next time I made it, I decided to cut the milk with some water. I also added more spices to the mix. I still felt the same benefits but without the gurgle. 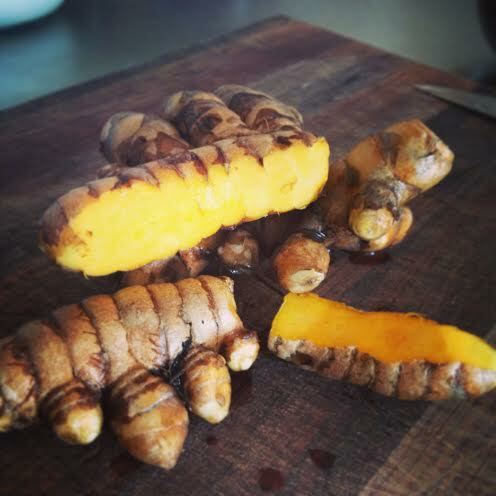 Bring the water, cinnamon stick, turmeric, ginger, cardamom pods, peppercorns, and cloves to a boil and let simmer for 10 minutes to extract the flavor. Add the milk and nutmeg. Cook this on low until it’s just about to boil, then turn off the heat and allow it to cool to just above body temperature. Stir in the honey, and pour into two mugs. 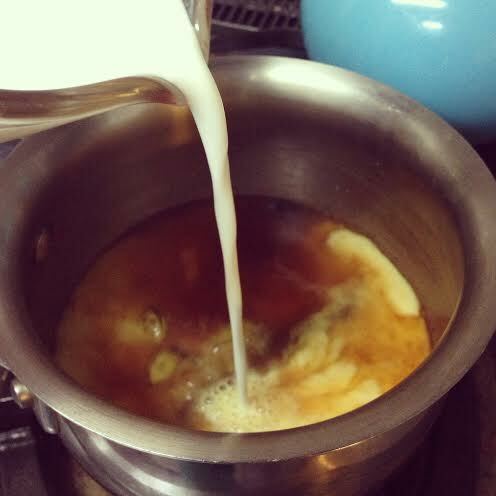 Ayurveda does not recommend cooking honey, so that’s why we let the milk cool a bit before adding it. Add all the ingredients to the pot, except the honey. Heat until almost boiling, turn off the heat and let cool. This will probably be a bit gritty unless you have a super amazing strainer. Tell me about it, if so! Mix in the honey and enjoy. If you liked this post, please consider sharing it with your friends via Facebook, Pinterest, or Email. I see those “likes;” and they keep me happy and motivated to keep writing. Thank you for reading. 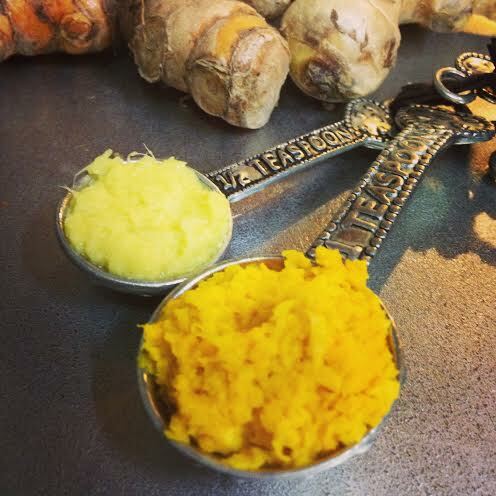 This entry was posted in Ayurveda, Food and tagged ama, golden milk, kapha, naturally diy, ojas, turmeric milk, vata. Very interesting. I’m avoiding dairy right now so would be hesitant to try this. Currently doing a cleanse so maybe later I’ll eventually give it a go. in the meantime, why don’t you try coconut or almond milk instead? What is the reasoning behind not using ground nutmeg and cloves in the “Ain’t nobody got time for that method”? I prefer to use freshly ground nutmeg and whole cloves (or freshly ground) based on taste preferences. My point for the “Ain’t nobody got time for that” method is to get the most important ingredients for digestion into the milk quickly. I have those particular spices already powdered and ready to go. 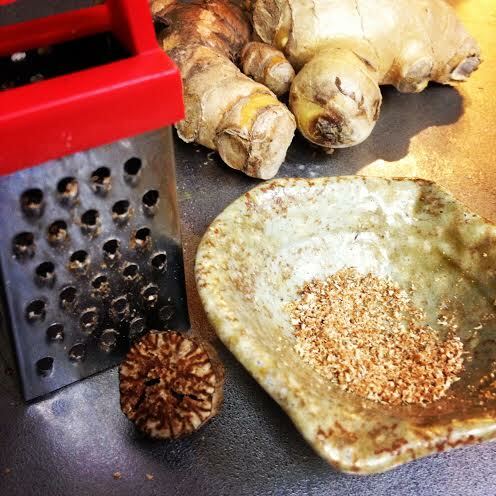 If you have ground nutmeg and cloves on hand, please feel free to add them.